Thousands of Chicago motorcyclists enjoy riding on the open roads every year. These motorcyclists may be at a higher risk of being involved in accidents that result in serious, life-changing injuries. Motorcycle riders do not have the protection of airbags and steel — a fact that can result in profound, life-altering injuries that can range from broken bones and road rash, to internal bleeding, organ damage, brain injuries, neck and back injuries and amputated limbs. This is where a motorcycle or car accident lawyer in Chicago can help. While some are truly accidents that could not have been avoided or prevented, there are a number of motorcycle accidents that are caused by motorist negligence. If you have suffered an injury in a motorcycle accident that you believe was caused by a negligent motorist, it may be beneficial to consult with a motorcycle accident law firm. Phillips Law Offices handles a range of personal injury and auto accident lawsuits, including motorcycle crash claims. Crash Figures: How Many Motorcycle Accidents Result in Death? The U.S. National Highway Traffic Safety Administration (NHTSA) publishes figures on motor vehicle accident statistics and data in the United States. According to the NHTSA, there are approximately 13 fatal car accidents for every 100,000 drivers on the road in a given year. The fatality rate for motorcycles is many times higher, averaging around 72 fatalities per 100,000 drivers. In 2015, the U.S. saw a total of 4,976 motorcycle accident-related fatalities, which reflected an 8.3% increase over the figures from 2014. Crash Figures: How Many Motorcycle Accidents Result in Injuries Each Year? The NHTSA’s figures indicate that the number of injuries is quite significant too. In 2015, the U.S. saw 88,000 motorcycle accident-related injuries, which reflected a 3% decrease over the figures from 2014. DUI Figures: What Percentage of Motorcycle Accidents Involve Alcohol? There are no solid figures on what percentage of motorcycle accidents involve a car or truck that’s operated by an intoxicated driver. According to the Hurt Report, an investigation into motorcycle accident causes that was published in 1981, a majority of motorcycle accidents are caused because of motorist negligence. The Report found that most accidents are the result of the motorist’s negligence in failing to yield to a motorcyclist and failure to look out for a motorcyclist. What Type of Compensation Can I Get With a Motorcycle Accident Lawsuit? When working with a personal injury lawyer on your accident claim, you will be asked lots of questions in order to determine the full scope of your losses. Our motorcycle accident lawyers will also work with a number of well-respected experts who can help determine future costs and losses stemming from your crash. any other expenses or losses that can be traced directly back to your accident and the subsequent injuries that you have suffered. How Much Can I Expect to Get in an Accident Settlement? A motorcyclist has very little protection that can prevent serious injuries during an accident. While a helmet can reduce the risk of suffering a brain injury to some extent, there are certain types of head, neck and back injuries that a helmet may not be able to prevent. When you file a claim after a motorcycle accident, your claim must take into account all the expenses that you can expect to face in the weeks and months after the crash. If you have suffered injuries in a motorcycle accident caused by the negligence of others, you may be eligible for compensation for your losses. Trust your case to one of the Midwest’s most experienced law firms: Phillips Law Offices. 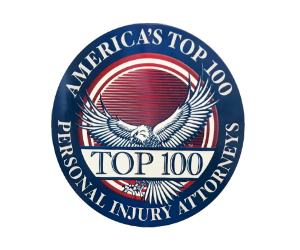 Our law firm also handles other types of personal injury cases and wrongful death lawsuits. Do not delay filing a lawsuit because personal injury claims are subject to a statute of limitations, which places a cap on how long you have to take action. Call 312-346-4262 to speak with a Chicago motorcycle accident lawyer at Phillips Law Offices to arrange a free consultation to discuss your case.